An 18-year-old Alabama girl reportedly took her own life while being held at a local jail, AL.com reports. Kindra Darnell Chapman was reportedly booked at Homewood City Jail Tuesday at around 6:22 p.m. on a first-degree-robbery charge for allegedly taking a cellphone from another individual. She was last seen alive at 6:30 p.m. Jailers found the 18-year-old a little under an hour and a half later, at 7:50, unresponsive. According to officials, Chapman used a bed sheet to hang herself. The teen was taken to Brookwood Medical Center but was pronounced dead. The news of Chapman's death broke the same day questions surrounding the myseterious death of a Texas inmate, Sandra Bland, began to circulate. Bland was in Texas for a new job when she was pulled over for a traffic stop and was later arrested for allegedly assaulting an officer, only to be later found dead from apparent asphyxiation. 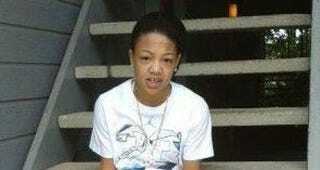 Officials said that her death was a suicide, but her family and friends refuse to believe that Bland took her own life.